Think its time you hang up your summer festival booties? Surely not, as in California, the season for fall music festivals are about to begin! Hop on a plane with your festie bestie and get ready for cooler weather, laid-back vibes and seriously killer line-ups. For three days in September, the upscale Del Mar Racetrack transforms into an immersive sonic playground for KAABOO, a music festival that replaces the normal grit and grime of festivals with posh experiences curated for an older, more refined audience. Think spa indulgences, contemporary art installations, Vegas-style pool cabanas and gourmet food; KAABOO is the place where you can catch rare acts you won’t find on other festival lineups. If you’ve ever wanted to see Pink, Tom Petty or the Red Hot Chili Peppers live, this year definitely won’t disappoint! Fall down the rabbit hole and enter a neon-lit, fully-themed world of Wonderland. 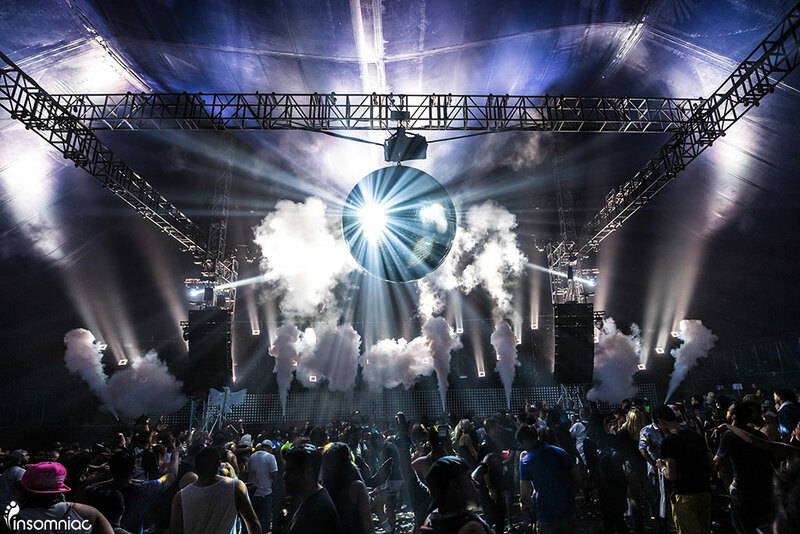 The longest running festival from EDM powerhouse Insomniac Events (the same guys behind EDC, Las Vegas), Nocturnal Wonderland is a nod to LA’s 1990s warehouse rave days, best described with two words: sensory overload. In addition to five Alice in Wonderland-themed stages of music, the 2-day camping festival features whimsical performers romping the festival grounds, kaleidoscopic decor, glow-in-the-dark environments and three-dimensional art installations. It might be autumn, but CRSSD is all about hanging onto those tropical summer vibes. The bi-annual festival is set against the Pacific Ocean at San Diego’s Waterfront Park, creating a sun-kissed atmosphere where you can get your groove on at 3 different stages. Since its inception three years ago, CRSSD has become California’s shining beacon of the underground music scene. With an almost entirely deep house lineup including Cut Copy, Hot Since 82 and techno legend Richie Hawtin, you can expect nothing but chilled out beats while the sun sets over the San Diego harbour.